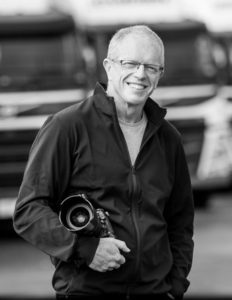 Three Australian photographers – Gavin Blue, Alex Cearns, and Dr David Malin – are recipients in the Australia Day 2019 honours list. Gavin is a Medal in the Order of Australia (OAM) recipient for his service to the community as president of volunteer pro photography organisation, Heartfelt. Heartfelt provides the gift of photographic memories to families that have experienced stillbirths, premature and ill infants and children in the Neonatal Intensive Care Units of their local hospitals, as well as children with serious and terminal illnesses. The Melbourne commercial photographer founded Heartfelt in 2010, alongside Casandra Anguita-Deep and a handful of others. The organisation has since grown internationally, with 320 photographer volunteering to provide services to over 9000 families across the world. Alex is also a Medal in the Order of Australia (OAM) recipient for her service to the community through charitable organisations. The West Australian pet photographer is the leader in her field, and has offered her photographic talents to over 40 animal welfare charities such as Dogs Refuge Home of WA, Greener Pastures Animal Sanctuary, Kanyana Wildlife Rehabilitation Centre, Wildcare WA, Brightside Farm Sanctuary Tasmania, Animal Management in Rural and Remote Indigenous Communities, WA Dingo Association, and Free the Bears Fund International. 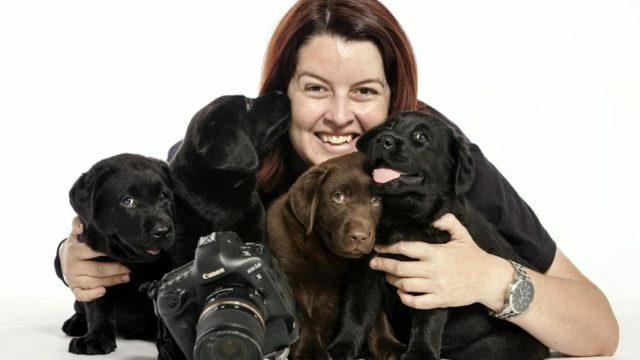 The honours highlighted five of Alex’s published books, as well as her role as director and photographer at Houndstooth Studios and ambassador for Guide Dogs WA. Alex has captured incredibly adorable photos of animals desperate for a new home, and without doubt helped save many furry lives. But Alex has done much more than just that for animal welfare. The Houndstooth Studio website estimates the photographer provides around $500,000 worth of services to animal charities annually. This is what Houndstooth Studio co-owner, Deborah Brown, said about Alex on Facebook after the announcement. ‘We were told it takes around two years for nominees to be considered, referenced, reviewed and doubled checked against a strict list of criteria by the Council for the Order of Australia. We’re very grateful to the venerable founder of Free the Bears Fund, Dr Mary Hutton, for making the nomination. We don’t know who else spoke for Alex during this process, but huge thanks to these people, we’re so very honoured you considered her worthy. Most of you know Alex as an incredibly talented, hard working and compassionate woman, whose integrity shines through in everything she does, but not too many people know just how much time, effort and financial resources she has dedicated to volunteering her skills to all kinds of animal and wildlife rescue charity work over the past twelve years. Truth is, it’s been a lot. Giving freely and generously is a huge part of who Alex is. In her words, ‘The right image viewed by the right person at the right time can lead to more adoptions, greater awareness for a cause, or increased donations to an animal charity’. Hence, she takes every opportunity to drive the message home about animal rescue and wildlife conservation via her five beautiful books, in media interviews, by a massive amount of social media communications that raise awareness and educate the public about adoption and rescue, by designing and executing major fundraising projects, providing pro bono photography services, prizes, gift vouchers and sponsorships to state, national and international animal charities, wildlife sanctuaries, and rescue shelters. She has supported hundreds of different organisations with an in-kind value of hundreds of thousands of dollars. Despite this amazing acknowledgement, I know Alex feels that the real heroes in animal rescue are the incredible people who show up every day to deal with the devastating consequences of cruelty, ignorance, neglect and abuse. I know she will continue to support them and do everything she can to keep adoption, rescue and conservation top of mind for the huge population of animal lovers in Australia and to help it become increasingly important to the rest. David, a living legend in the field of astrophotography, was made a Member in the Order of Australia (AM) for his ‘significant service to science as an astronomer and astrophotographer’. 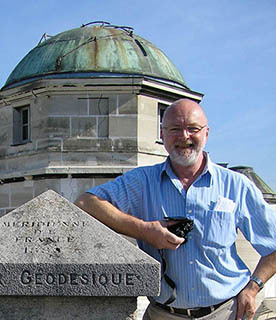 The astrophotographer became involved in scientific photography back in the 1960s, and joined the Anglo-Australia Observatory (now Australian Astronomical Observatory) in 1975 as a photographic scientist. David developed a photographic style, known as Malinisation, which detected an extremely faint, distant ‘proto galaxy’ which has been named Malin-1. David is also a pioneer of making true-colour astronomical photos from black-and-white plates. He has international acclaim for these achievements, and also has had work appear in over 120 scientific papers, on the covers on books and magazines, turned into stamps, and exhibited across the world. Don’t believe us? Read his bio here.